"Self-conscious as ever, the band sets a retrospective tone right from the start"
Theater kids of the world, rejoice! Rejoice, you waifs and naïfs too delicate to be goths and too earnest to be hipsters! Wipe the tears from your Moleskine and shine your vintage oxfords. Rejoice, one and all, for there is a new Decemberists album out. After six LPs that saw the group move from Neutral Milk Hotel comparisons to Bruce Springsteen ones, it returns with its seventh. What a Terrible World, What a Beautiful World is a sometimes beautiful, sometimes frustrating album that works as a career mixtape, jumping around familiar territory and only occasionally pushing forward. The Decemberists have released prog-metal epics and barnyard jams, so whether your favorite album by the ’Rists is 2003’s Her Majesty, or 2009’s Hazards of Love, you’re in luck, because there’s something here for you. Self-conscious as ever, the band sets a retrospective tone right from the start. On “The Singer Addresses His Audience,” perpetually mutton-chopped front man Colin Meloy pledges his allegiance to a fan base that has supported the band through style shifts and sellouts, claiming “We had to change some, to belong to you” and “we did it all for you.” Oh, and here’s a conspiracy theory for you: I’m pretty sure that the first chord of this song is the same chord that opened Castaways and Cutouts 12 years ago. Moderately curious, right? OK, OK, this is an enormously unfair little game I’m playing. It’s not like I wanted a Decemberists drill album, and “Culling of the Fold” wasn’t even an official album release, for Christ's sake! But these Decemberists songs can’t help but sound like their old ones, just with denser studio production and more backing vocals. The tracks range from decent to excellent (I actually really like “The Wrong Year”) but more often than not the band can’t slip the burden of history the same way it always used to. When the band really tries something new, it produces songs that justify the whole endeavor. “Lake Song,” is a smoldering sunset jam that keeps twisty Meloy-isms like, “Say that you will or will you won’t or you whatever you prevaricate your whole life, don’t you?” gliding over a lush instrumental substrate. Every layer is off-beat, gorgeous and assembled in a way that almost sounds jazzy. “Lake Song” stands as easily the album’s best moment. It closes strong too! “A Beginning Song,” which opens with the rollicking acoustic guitar sound of 2011’s The King is Dead, then layers on strings, slide guitar, drum kit, backing vocals, piano, more drum, feedback screech, and winds until the song turns into one of the most anthemic songs in the Decemberists catalog. “And the light, bright light, it’s all around me,” sings Meloy as an ocean of noise swirls and crashes. 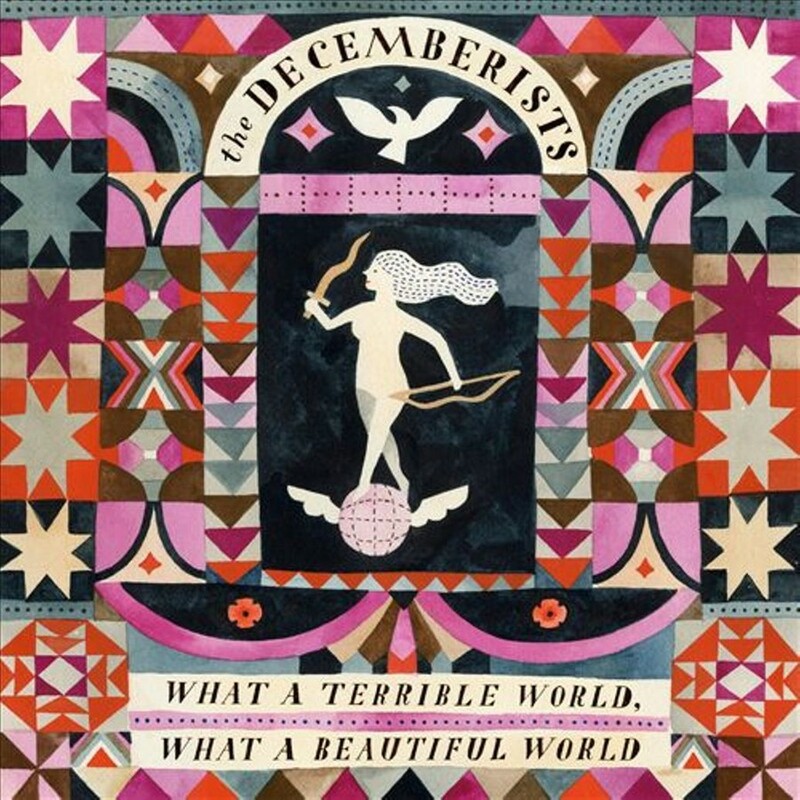 Look, this isn’t the best Decemberists album (that would be Picaresque) or the best place to start in their catalog (uh…Picaresque, again), but it doesn’t really need to be. After 14 years, people have probably made up their mind about the Decemberists, and it looks like the band is doing a little coasting. Still, it’s obvious that the ’Rists can put together songs transcendent enough to rival anything in its extensive oeuvre. For a group that pulled down their first Pitchfork Best New Music the week after the invasion of Iraq, that’s pretty good.